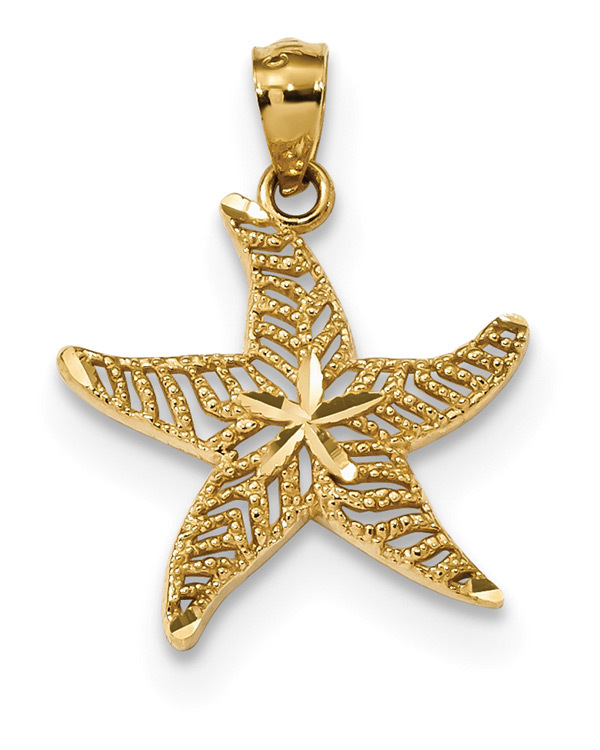 A diamond-cut design filigree starfish pendant necklace crafted in 14k solid gold and made in the U.S.A.
You can choose the starfish pendant by itself or make it a necklace by adding one of our 14k gold box chain necklaces. The starfish measures approx. 11/16" in size (or just under 15/16" with hoop/bale). We guarantee our Diamond-Cut Filigree Starfish Pendant Necklace, 14K Gold to be high quality, authentic jewelry, as described above.